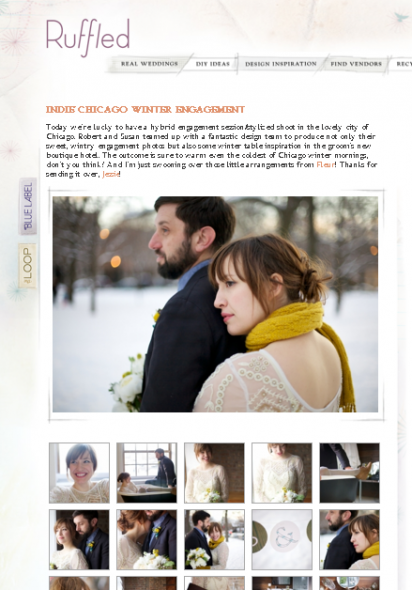 We are thrilled to be featured today on Ruffled! Thank you to Susan and Robert for being so ridiculously cute and to Sarah and Margie over at Sarah Drake Designs and of course Kelly of Fleur for the outrageous florals. Click here to go check it out!